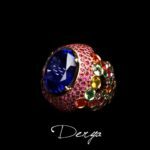 Rivera Lifestyle Management is happy to have this jewelry brand in our product range for our clients. Again we choose for a premium custom made handcrafted product with high end quality and finishes. 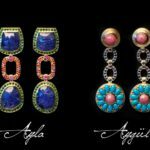 We welcome Raquel Torres, designer of Hayat High Jewelry. 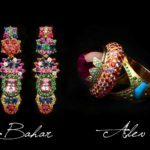 Through her unique and handmade designs, she reflects the passion that our ancestors had for luxury and elegance. Hayat means “life” in Arabic. Hayat tells the story of a company that is passionate about the luxurious madness of our ancestors. Shapes and colours that lead us to those incredibly mysterious, extravagant, exotic, wild places that inspired the most powerful figures of history. 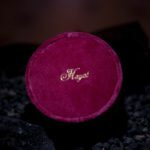 Hayat is a brand that designs exclusive hand-crafted pieces and that seeks what is most creative and appealing for women who admire luxury jewellery. A lifestyle and elegance that awakens the senses. 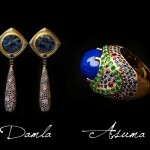 Rivera Lifestyle assists you in order to find the perfect piece with Hayat.